After graduating from the University of Texas at Austin, Jennifer spent 5 years traveling the globe for a sports marketing company and was brought back to Austin working under the dome of the State Capitol as the prestigious Calendars Committee Clerk for the Texas House of Representatives. After her third legislative session, she decided to follow her dreams and pursue her real estate career. Being blessed by the unique opportunity to be mentored by top producer and industry leader, Laura Gottesman, Broker/Owner of Gottesman Residential Real Estate, Jennifer learned the ins and outs of the Austin real estate market as well as the importance of relationships, hard work, and integrity within the industry. 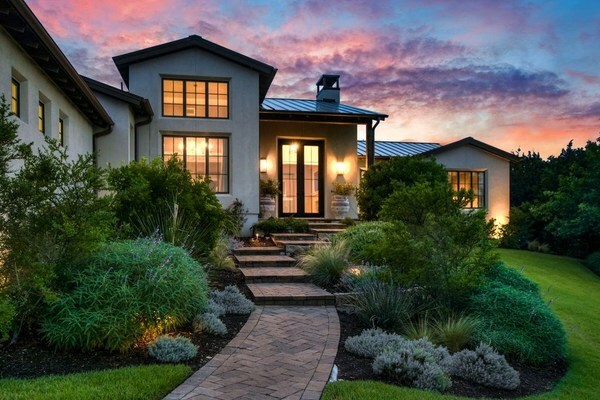 She gained first hand experience being involved in the buying and selling of luxury homes as well as marketing each property individually to fit each seller’s goals within the ever evolving Austin market. More importantly, she has surrounded herself with people whose work ethic, integrity, reputation and knowledge of the growing Austin landscape continue to set the industry bar. Jennifer is grateful for the opportunity to continue to work with incredible people and prides herself in bringing the highest level of professionalism and service to each of her client relationships. During buyer transactions, she receives the ultimate fulfillment when knowing her clients have found a home they love. She values these relationships and considers her clients lifelong friends. 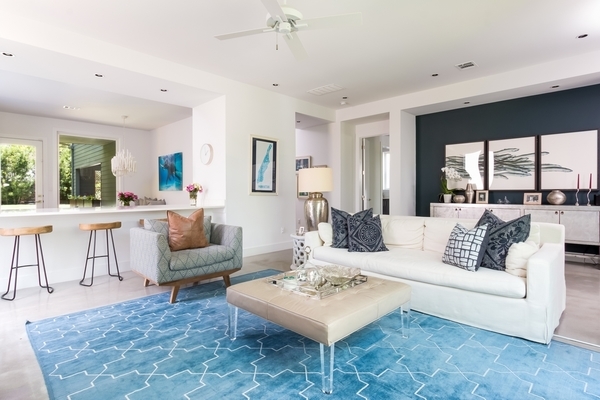 Jennifer is known for being loyal and her relationships continue way beyond the closing table as she is always eager to help connect clients with friends, designers, remodel ideas, or simply sharing the hot new restaurant in town. Whether buying or selling real estate, Jennifer’s industry knowledge, passion, energy, kindness and customer service help pave the way for continued success. Out of the office, she can be found teaching barre and yoga or running Lady Bird Lake. 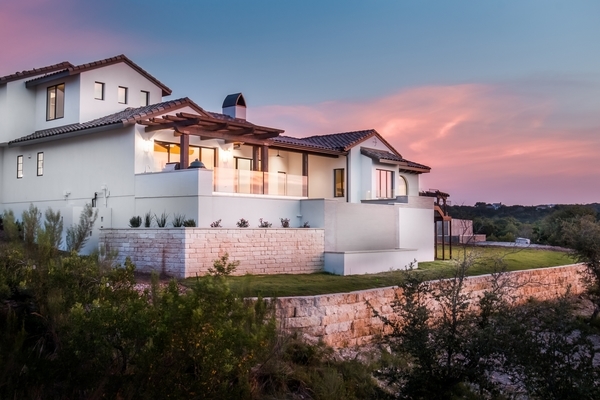 The Fairways Collection: Nine luxury homes with sweeping views of the world renowned Spanish Oaks Golf Course and the Texas Hill Country. 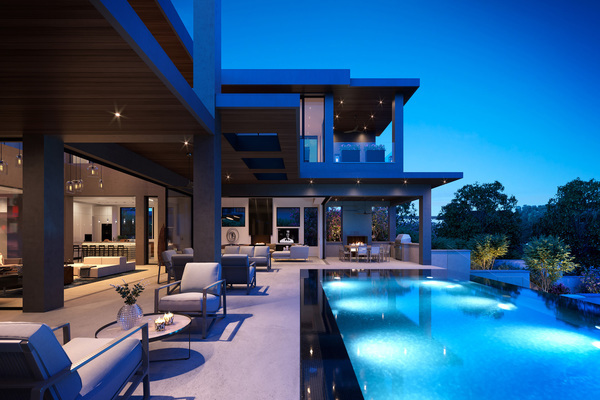 Meticulously executed custom homes and pre-sales are available. Move in ready beginning Spring of 2018! 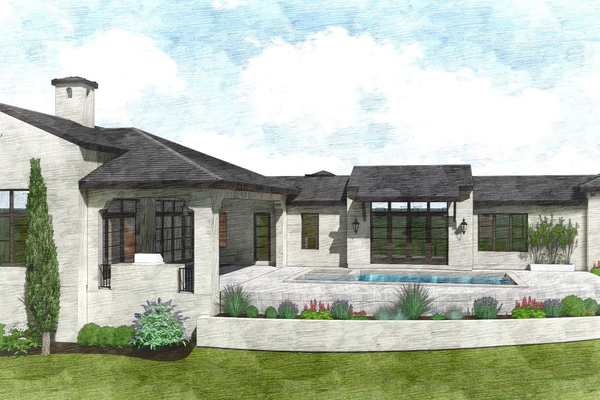 Modern Masterpiece coming soon in Spanish Oaks built by Ames Design Build and designed by Jay Corder, Architect. 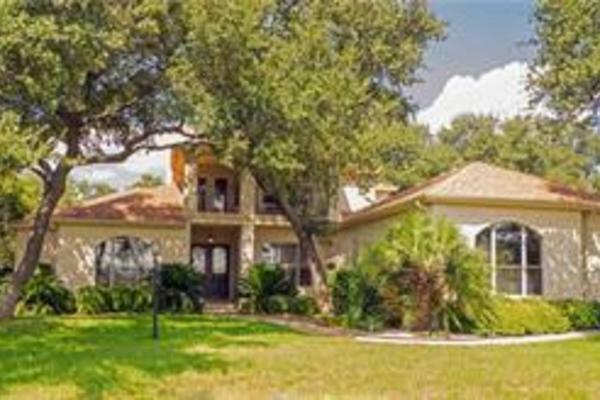 This two story four bedroom/4.5 bathroom home is situated on a gently sloping lot with prime views of the fairway and natural landscape of Spanish Oaks. 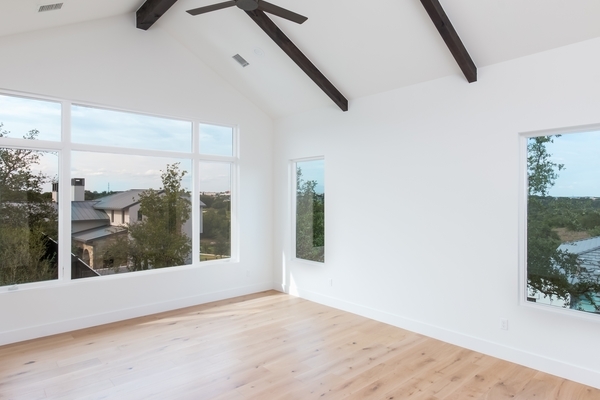 Vaulted ceilings encourage natural light throughout the home and the open floor plan lends itself to entertaining on the many covered terraces and patios. The large skytower covered patio off the kitchen is perfect for al fresco dining while looking out on to the golf course or negative edge pool & spa. 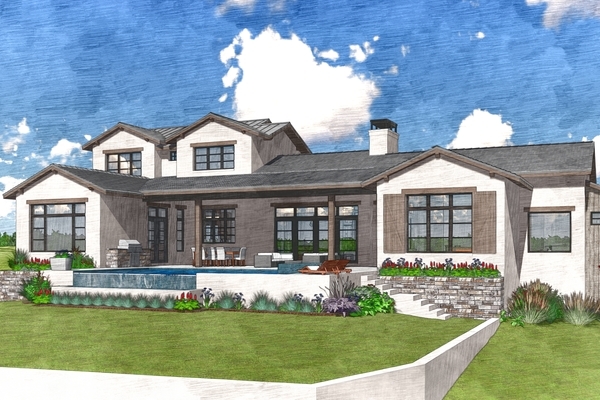 From the custom Western Pivot front door & Gaggenau appliances to the Mitsubishi VRF HVAC system and spray foam insulation, this home has many upgrades that take it to the next level of luxury. 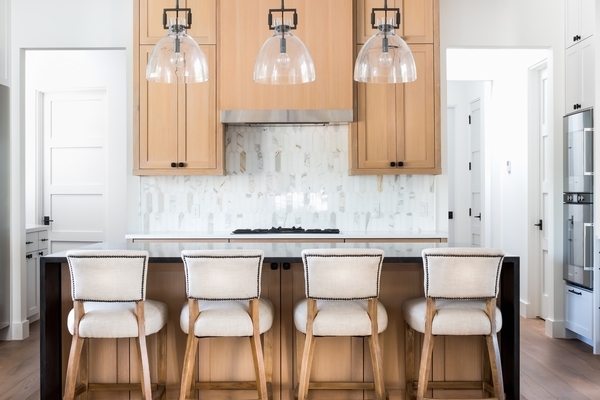 Each space has been thoughtfully curated with high-end finishes and leaves no details overlooked. Available Winter 2019. 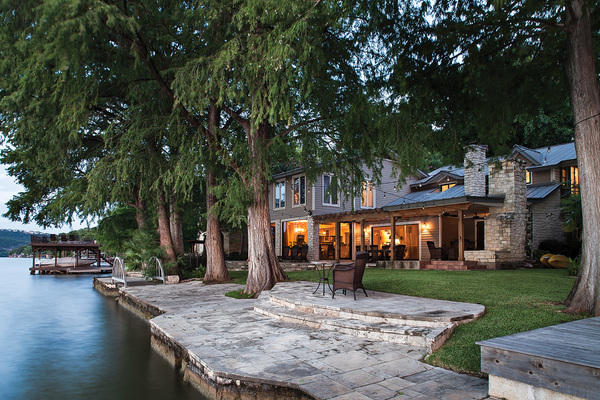 Entertainer's Paradise with 100ft waterfront in the middle of the 22 mile stretch of Lake Austin. Easy Access to Downtown, Domain, & 2222. 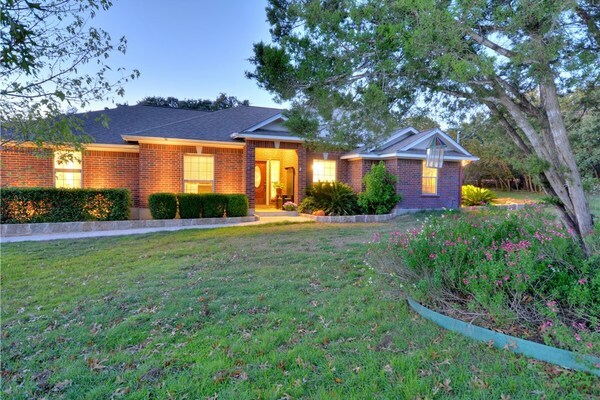 This wonderful home sits on a 0.5 acre lot with gorgeous pecan and oak trees and is surrounded by lots on both sides adding a sense of privacy. 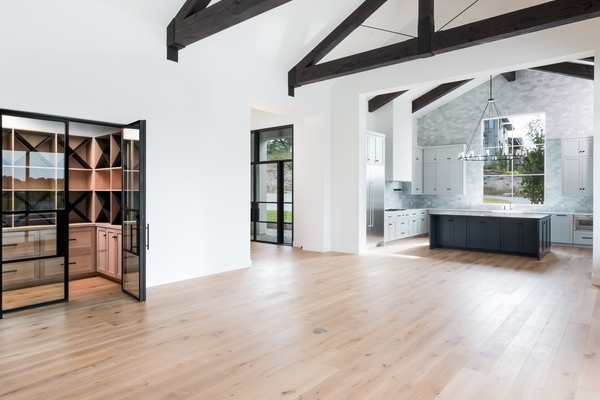 The home was masterfully executed with engineered steel, beautiful mahogany, custom doors and railings, double arch ceilings, and walls of windows. 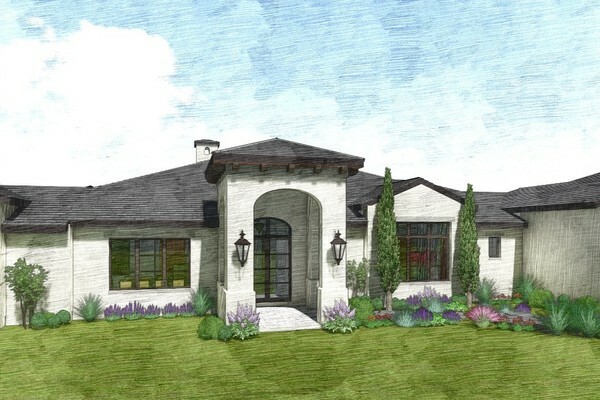 The thoughtful floorplan includes 1 master suite downstairs with a gourmet kitchen, office, beautiful dining room, wine room that holds 270 bottles and several living areas. The upstairs includes an additional master suite, and two additional suites as well as a large game room with kitchen and bunk room. There are four fireplaces throughout and an oversized 4 car garage with commercial height to house an RV. 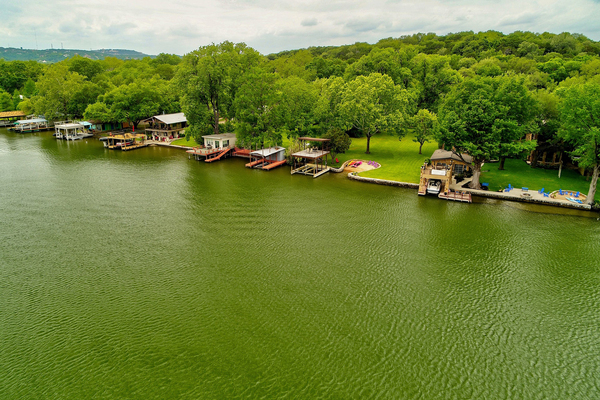 Lastly, the property also includes a 1 bedroom guest house right next to the lake, as well as an oversized boat dock, party deck, beach, and fire pit. 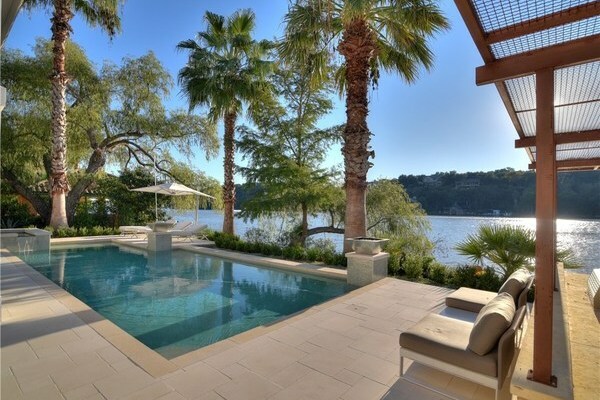 This property is truly an entertainers dream for those looking for the Lake Austin lifestyle! 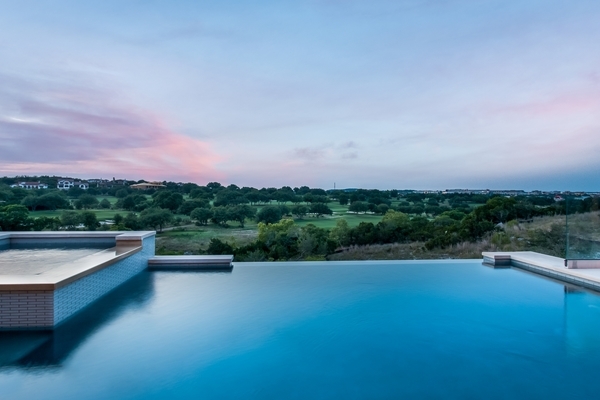 With privacy, views, cutting edge technology and exquisite design, this remarkable gated estate will set the bar for Lake Austin properties. 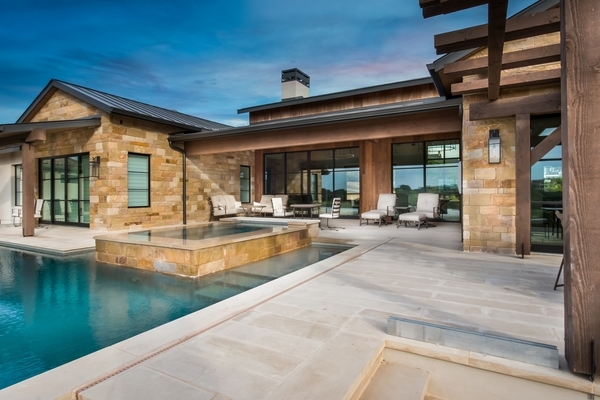 Ames Design Build used the best of everything to create an architectural masterpiece in a waterfront setting. 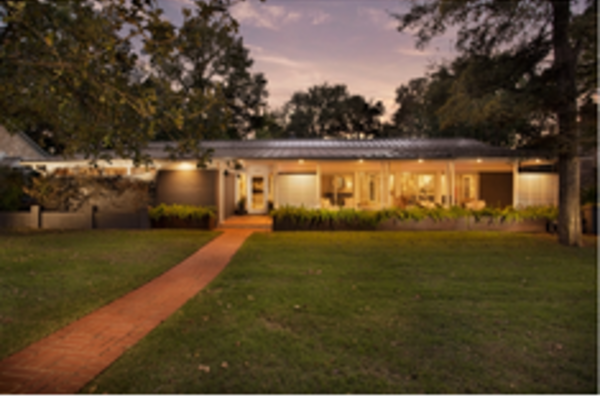 This to-be-built modern masterpiece is situated on 2.4 pristine acres with thoughtful, manicured landscaping. 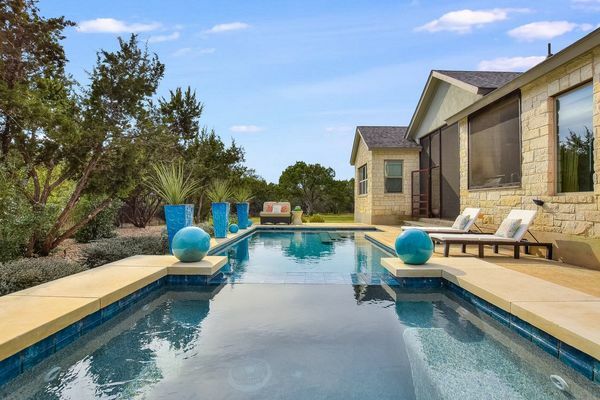 Directly across the 105 feet of Lake Austin frontage, is a nature preserve, which enhances the property’s privacy and tranquility. Enter the luxurious estate through the monitored gates and a caretakers cottage to wind your way down to this peaceful retreat. 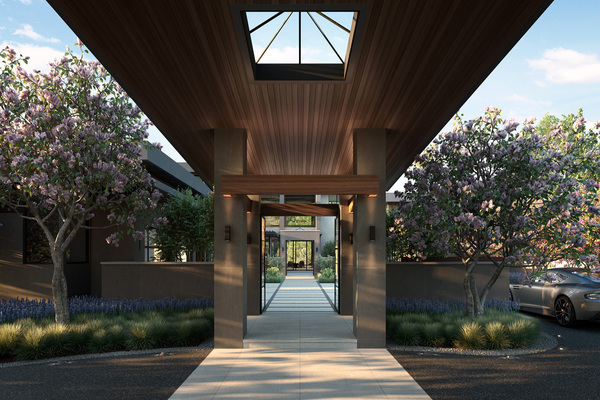 Beyond the dramatic porte-cochere entrance and motor court with four-car garage, the tranquil courtyard invites visitors to the residence. An impressive pivot door in the entryway reveals a floating staircase and phenomenal views of the lake through two story walls of glass. 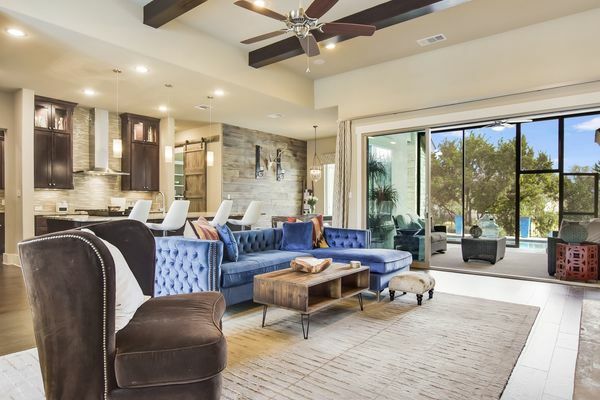 The design of the home utilizes an open concept floor plan that centers around a two-story great room and features a gorgeous steel fireplace covered with glass. The Great Room space flows seamlessly to the kitchen, dining, and outdoors capturing the breathtaking reflection of the lake from every vantage point. 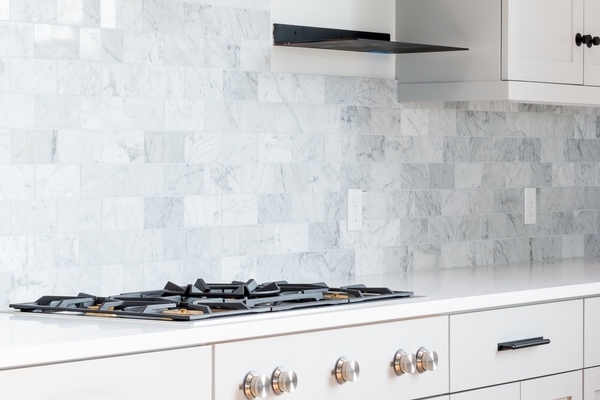 The stunning kitchen is equipped with Gaggenau appliances, a calacatta quartzite island and a full scullery kitchen behind closed doors for catering and entertaining. Adjacent to the kitchen is the adult lounge with a wine bar, media center and access to the main patios via fully pocketing glass doors on both sides. A wet edge pool is situated at the perfect elevation to appear as it if vanishes into the lake on the horizon. 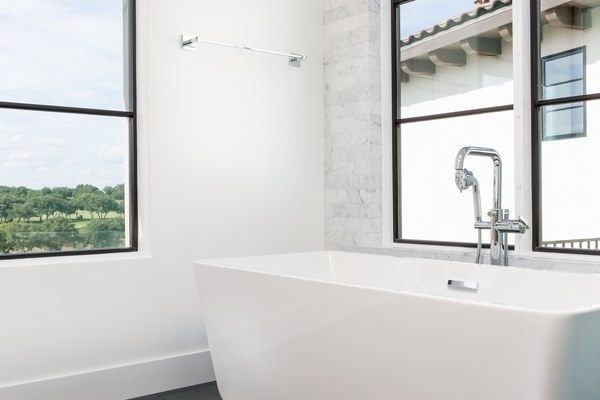 The master suite is located on the main level with a private patio and spa-like bath. Completing the main level are two offices, a guest suite and a state of the art wellness center equipped with a sauna and private garden. 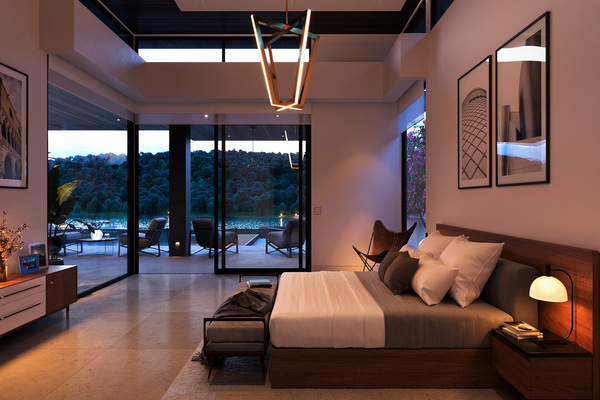 The second level features two additional guest suites and another sky tower lounge with a large terrace overlooking the lake. In addition to the main house, there is a separate one bedroom guest house with living area and full kitchen. Otiima sliding doors retreat into the walls allowing the inside and outside to meld. Multiple covered terraces and patios provide many options for relaxing or entertaining. 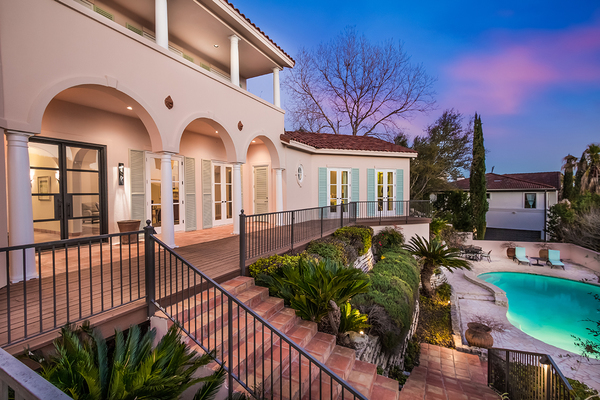 On peaceful Austin evenings, enjoy dinner al fresco in the courtyard or sit poolside by the fireplace and soak in the views. Beyond the main house and pool is yet another lakefront entertainment area with a second wet edge plunge pool plus outdoor kitchen and bar. Making the lakeside lifestyle complete is the two-slip boat dock with rooftop party deck perfect for enjoying Austin sunsets with friends. 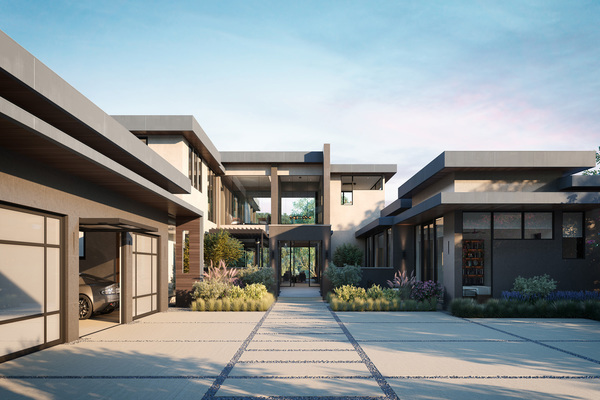 The estate uses the latest in residential technology and features a Savant home automation system that includes Lutron Lights, audio visual components throughout, and security. In addition, the home is prewired for the Tesla Powerwall Whole-House battery backup system and has a pre-installed Tesla High Speed Charging Station. High efficiency Mitsubishi VRF heat pumps with ducted returns ensure the most efficient and comfortable climate control. Words alone can’t truly describe this spectacular Ames Design Build masterpiece. To appreciate it fully, you must experience it. 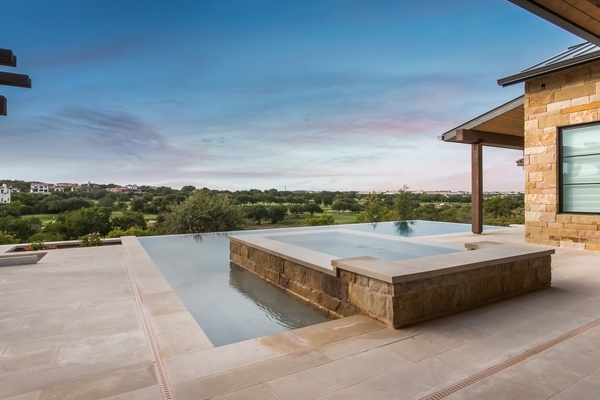 Ames Design Build is the mastermind behind another stunning Spanish Oaks masterpiece. 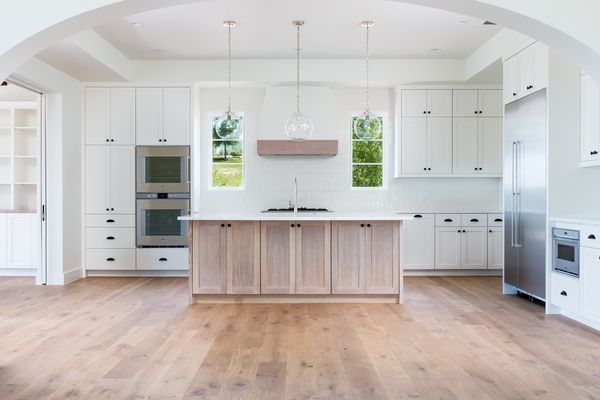 Their strong attention to detail and quality, and customized approach helps differentiate the home from the rest. This particular 4 bedroom/4.5 bathroom home exudes warmth in both size and finishes as well as contemporary styling. The master bedroom is down along with another ensuite guest bedroom and bathroom. The kitchen, dining, and living room flow seamlessly in a thoughtful floorplan with vaulted ceilings and lots of natural light. 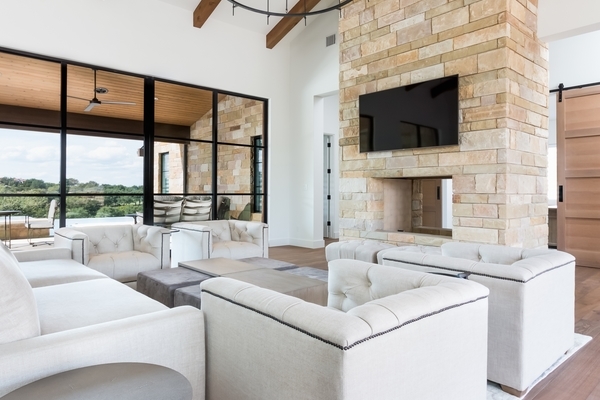 The living room contains walls of glass that lead visitors outdoors to the private backyard with expansive views of Spanish Oaks Golf Course and the Hill Country Galleria. There are two additional bedrooms with en suite bathrooms up with a game room. 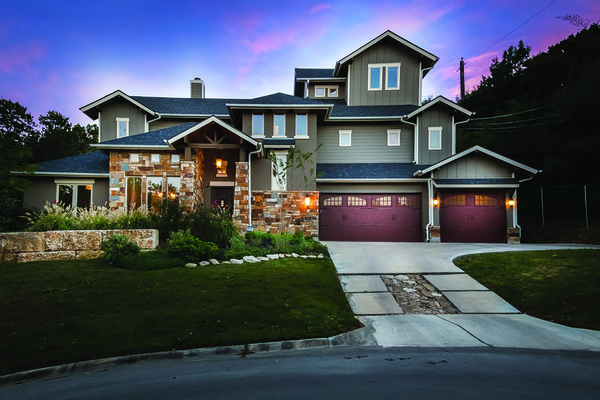 Storage, closet space, a three car garage, and detailed landscaping plan are a few of the characteristics that add even more value to this beautiful Ames Design Build residence. Available End of 2019/Early 2020. Classic Napa Farmhouse built by the renowned Ames Design Build in the beautiful setting of Spanish Oaks. 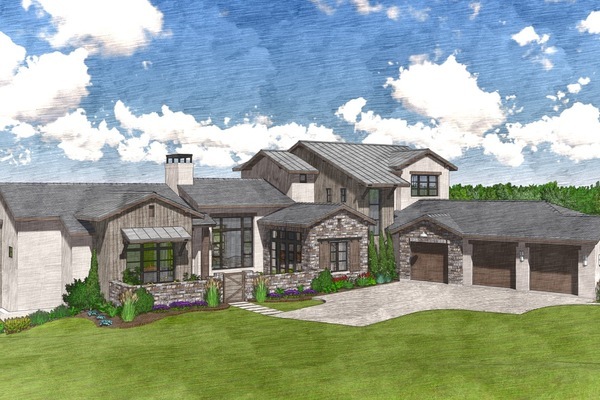 This four bedroom/4.5 bathroom home has a traditional farmhouse feel yet with modern touches such as large steel frame windows, Western window sliding doors, and a metal roof. 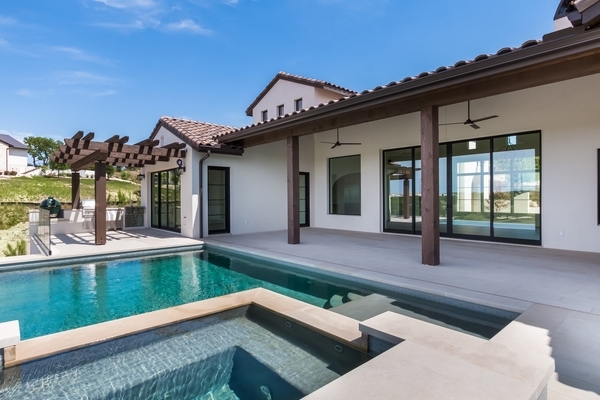 A intentionally designed open concept floor plan maximizes unparalleled views of the Spanish Oaks Fairways from the covered patio over a vanishing edge pool. The first floor has a large master suite with oversized his & hers closet and separate study as well as guest quarters and game room. There is also a stunning dining room off of the kitchen with access to the courtyard for those al fresco dining occasions. On the second level, the living area compliments the two additional bedrooms with en suite baths and would make the perfect playroom. A large covered patio enhances the pool and provides the perfect outdoor living experience complete with a large backyard. 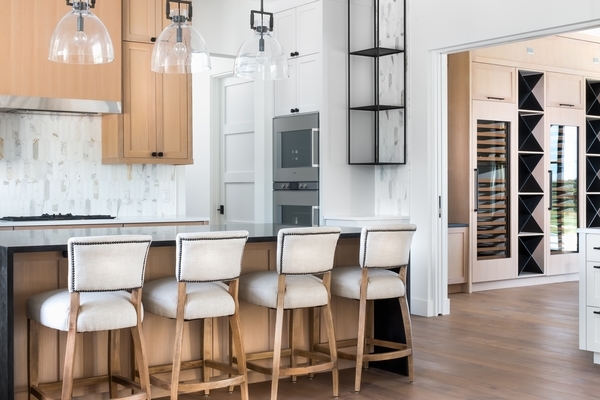 Gaggenau appliances in the kitchen, a Mitsubishi VRF HVAC system, spray foam insulation, and a three car garage are among a few of the upgraded features that differentiate the Ames Design Build homes from the rest. Coming soon - available 2019! Darling single-story home with a great floor plan and beautiful finishes in sought after Rim Rock neighborhood. This home offers an open kitchen & living combo, private master, dedicated study & spacious game room with custom built-ins. 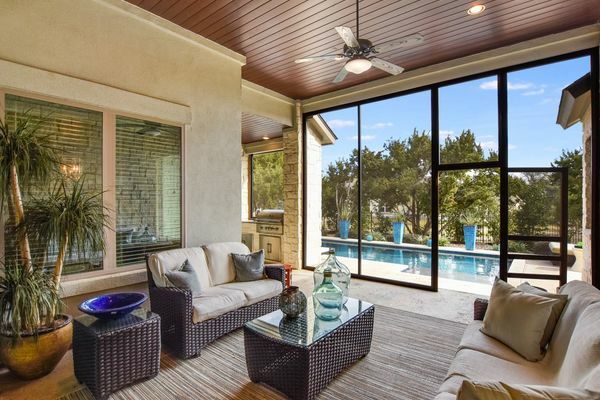 Enjoy your time outside under the screened in patio or relax poolside overlooking a flat, sizeable backyard. 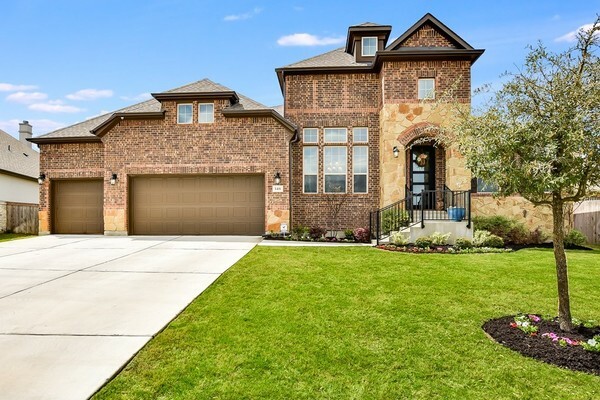 This home offers an open floor plan with a study, game/media room, large kitchen with an oversized island, opening family room, 3-car garage & extended covered patio. Featuring large windows with an abundance of natural light, beautiful wood flooring, loads of counter space, built-in stainless appliances, decorative tile backsplash, inviting fireplace and more! Highpointe features a world-class amenity center, 2-story gym & aerobics studio, 3 pools & water features, sports courts, soccer & baseball fields, miles of hike & bike trails, exemplary school district, Seton Southwest Healthcare Center minutes away and more! 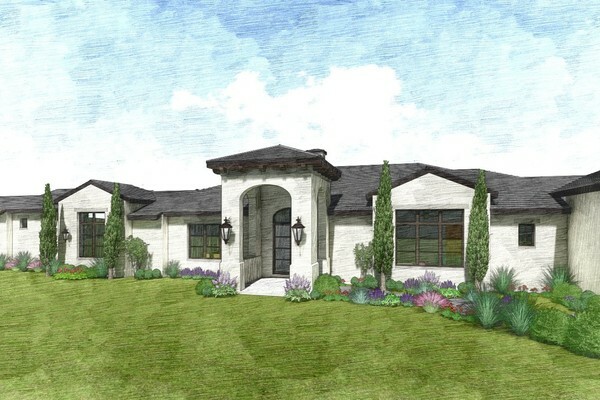 Modern farmhouse coming soon in Spanish Oaks built by Ames Design Build and designed by Vanguard Architects. This single story four bedroom/five bathroom home has a designated study and large master suite. Dramatic high ceilings and stunning steel windows and doors overlook the beautiful pool with sweeping views of the golf course. 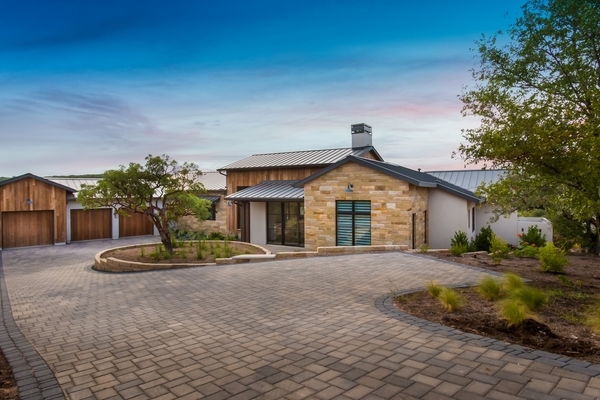 The exterior space flows seamlessly from the main living areas and is completed with a large covered patio, fire pit and BBQ that make it the perfect place to entertain or relax. 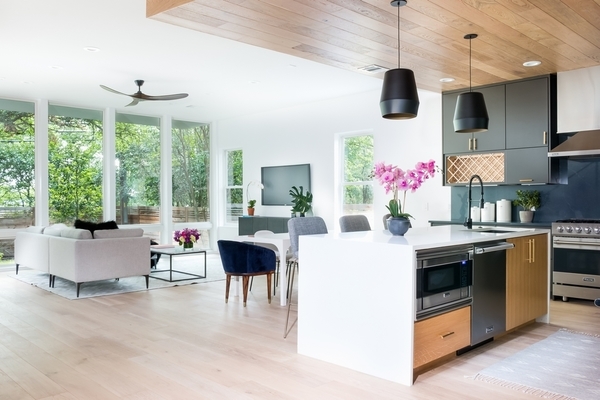 Western Window System Sliding Doors, Gaggenau appliances, Mitsubishi VRF HVAC system and spray foam insulation are among a few of the upgraded features that differentiate the Ames Design Build homes from the rest. Each space has been thoughtfully curated with high end finishes and leaves no details overlooked. Available late summer 2018. 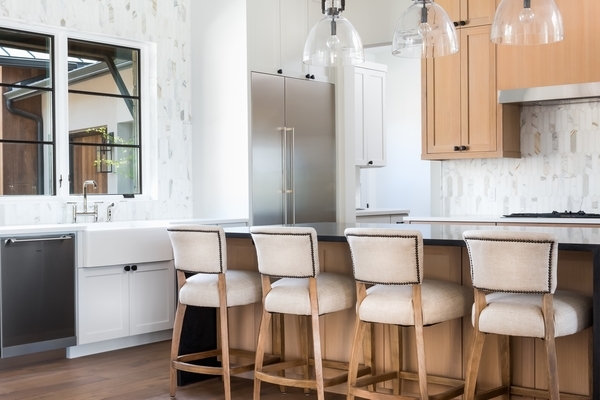 The Ames Pre-sell Custom Home program gives owners the flexibility to customize elements of the home and create a design they love without the uncertainties and risks of a full custom home project. We handle all aspects of the build including land purchase, design, construction financing, budget and schedule. 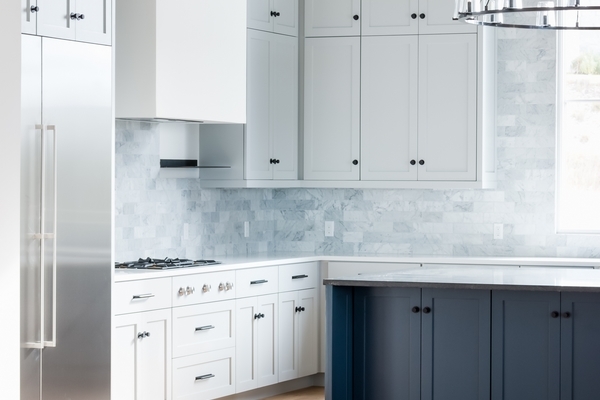 The price and completion date will be agreed upon prior to breaking ground, and you will work with our interior designers to select stunning finishes that will create your dream home. 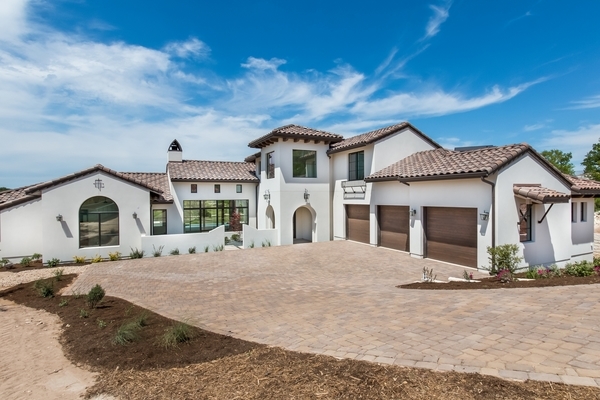 Timeless Mediterranean architecture by Vanguard Studios and built by Ames Design Build in Spanish Oaks. 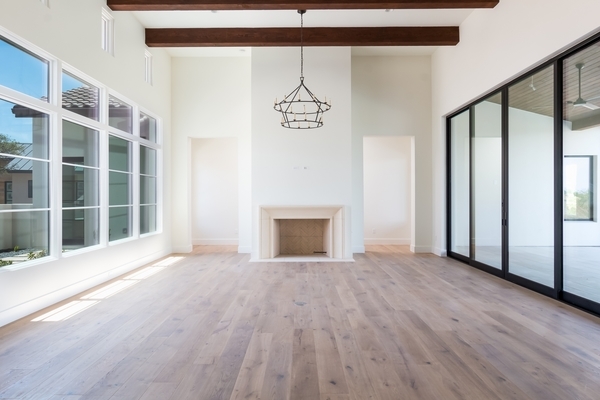 This four bedroom/five bathroom home merges the classic beauty of Santa Barbara architecture and contemporary interiors to create a truly classic feel. A carefully planned open concept floor plan maximizes unparalleled views of the Spanish Oaks Fairways over a vanishing edge pool. The first floor has a large master suite with oversized closet and guest bedroom with separate exterior access that can act as an in-law suite. A large covered patio and beautiful trellis with a BBQ make for a beautiful place to take in the scenic views. The secondary den upstairs would make the perfect playroom or office. 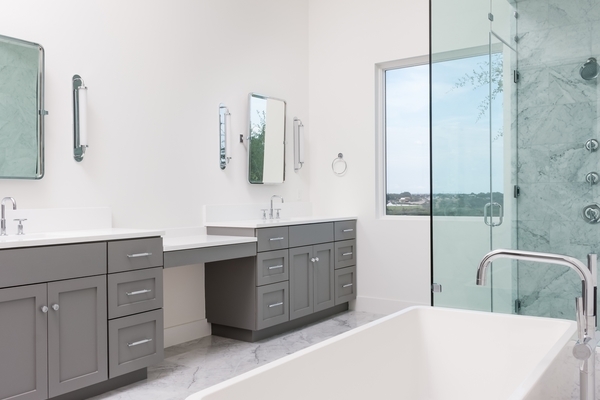 Western Window System Sliding Doors, Gaggenau appliances, Mitsubishi VRF HVAC system and spray foam insulation, and a water well on the property are among a few of the upgraded features that differentiate the Ames Design Build homes from the rest. 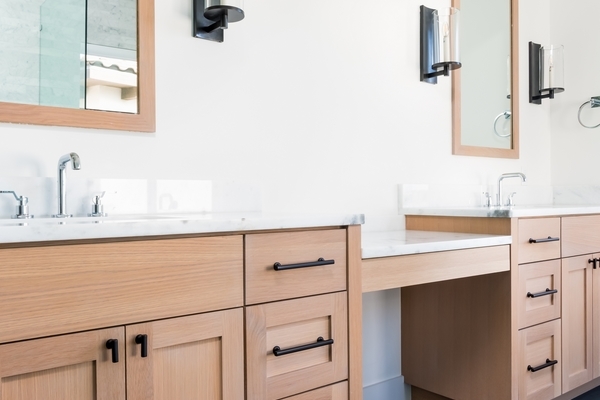 Each space has been thoughtfully curated with high end finishes and leave no details overlooked. 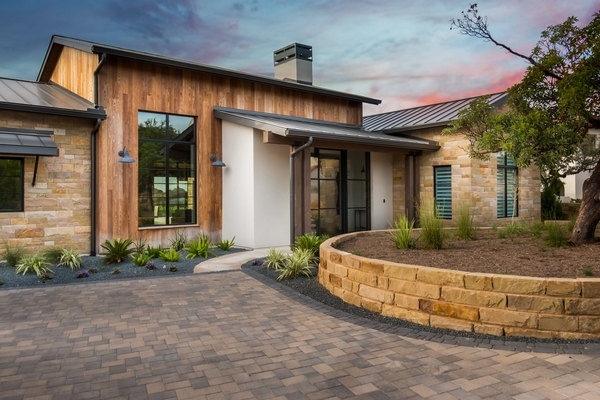 Beautiful Napa Farmhouse designed by Vanguard Studio Architects and built by Ames Design Build. 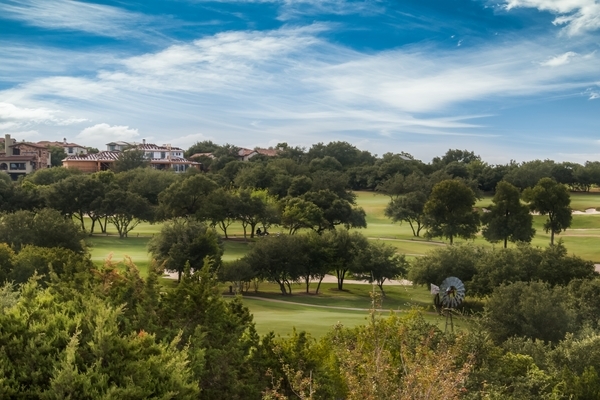 This four bedroom/five bathroom home boasts panoramic views over five fairways on the Spanish Oaks golf course and the Texas hill country. Fine attention to detail and top of the line finishes on both the exterior and interior of this home bring to life its unique character. An expansive single story layout with dramatic high ceilings and an open floor plan give this home a feeling of true luxury. A double sided masonry fireplace is at the heart of the home and sets the perfect ambiance to enjoy while working in the dedicated office. 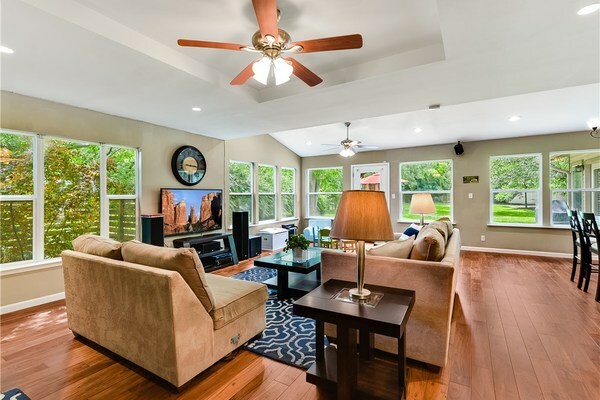 Large flat backyard and a covered outdoor patio with access from the Master, Great Room and Media Room create a wonderful flow; perfect for those who value indoor/outdoor living space. A three sided vanishing edge pool, Lynx BBQ and fire pit further add to the appeal of the outdoor areas by creating a wonderful setting for entertaining or enjoying a glass of wine. 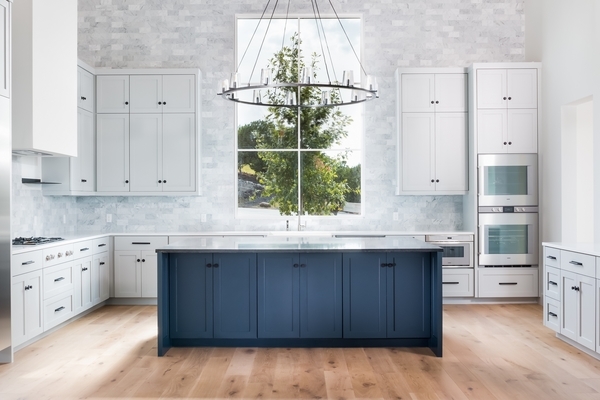 Western Window System Sliding Doors, Gaggenau appliances, Mitsubishi VRF HVAC system, spray foam insulation, and three car garage are among a few of the upgraded features that differentiate the Ames Design Build homes from the rest. Each space has been thoughtfully curated with high end finishes and leaves no detail overlooked. Coming soon - available summer 2018! Sophisticated living in 78704! Large duplex located on a cul-de-sac with an oversized garage, large patio, and additional parking spaces. Floor to ceiling windows, open riser staircase, white oak floors, built in BBQ and large yard with privacy fence. The gourmet kitchen includes Viking appliances. 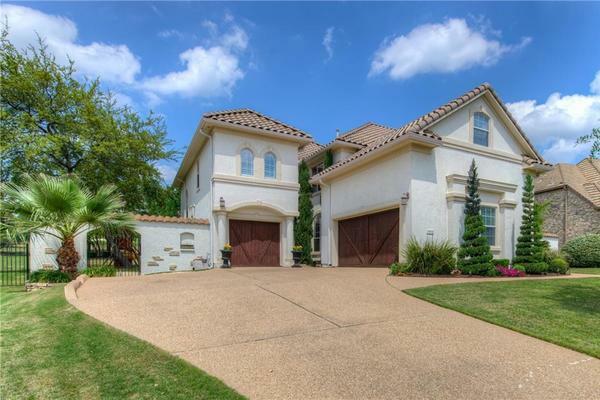 Upstairs master has a large patio, walk in closet with built ins, & spa inspired bath. 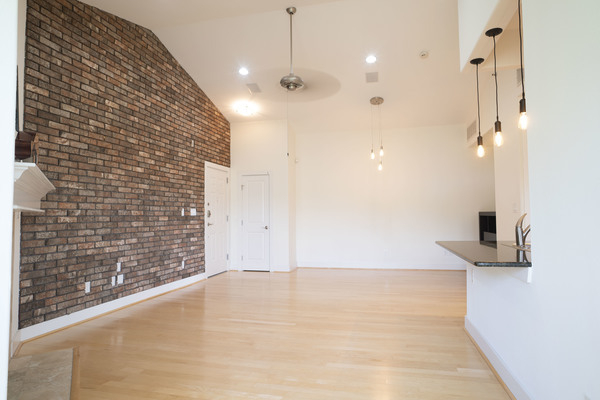 Top floor unit with vaulted ceilings, custom accent wall, and lots natural light. 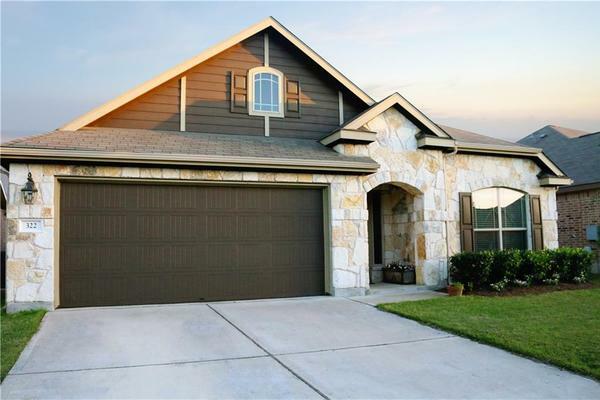 Wood & tile floors throughout and kitchen with stainless appliances and granite counters. Washer and Dryer in unit. Spacious single bedroom with en-suite bath and walk-in closet. Walking distance to restaurants and entertainment on South Lamar and S. 1st st! One assigned covered parking space. 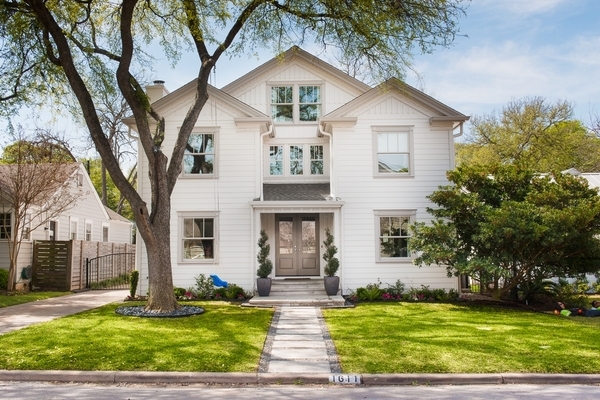 This stunning Moore Tate home is in the popular Travis Heights neighborhood in close proximity to downtown. The master suite is on the main level with two bedrooms and game room upstairs. The open floor plan gives an airy feeling to the downstairs and large windows flood the home with natural light. 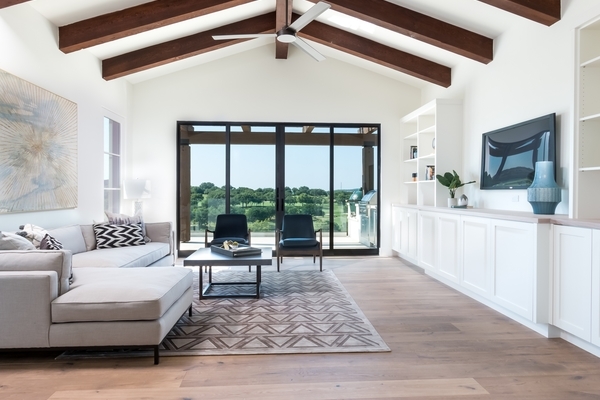 Vaulted ceilings, concrete and white oak floors, and clean lined finishes make this home both warm and peaceful. Gorgeous trees can be seen outside of the large windows. 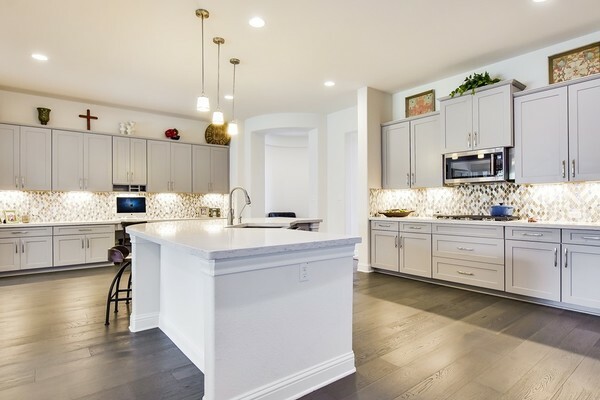 The living room opens to the gourmet kitchen, complete with stainless appliances and a stylish breakfast nook, which also leads out to the covered outdoor patio and cozy backyard. 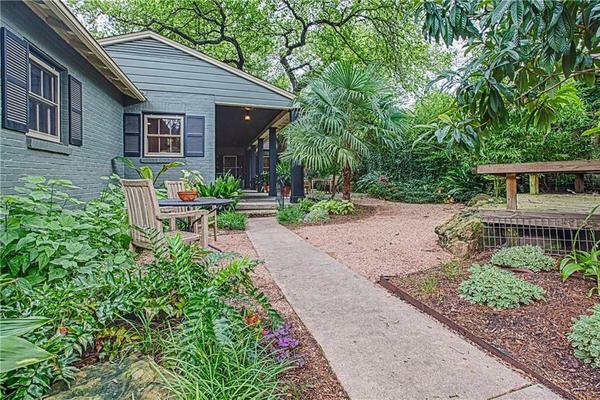 Enjoy evening strolls to the neighborhood park or to all that South Congress has to offer! 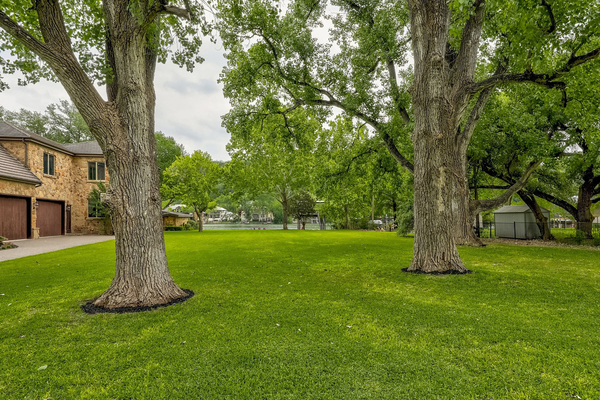 Minutes just west of Central Austin and west of the 360 Bridge in the coveted Greenshores neighborhood, this gorgeous flat 1/2 acre lot on Lake Austin with 100ft of waterfront is ready for your dream! Extremely low tax rate, gorgeous trees, a boat dock with 2 full size boat slips built with steel beams with private sandy beach and sea wall complete this piece of property. There is a stunning residence with guest house and additional boat dock available for sale next door (www.2803pearceroadaustin.com). 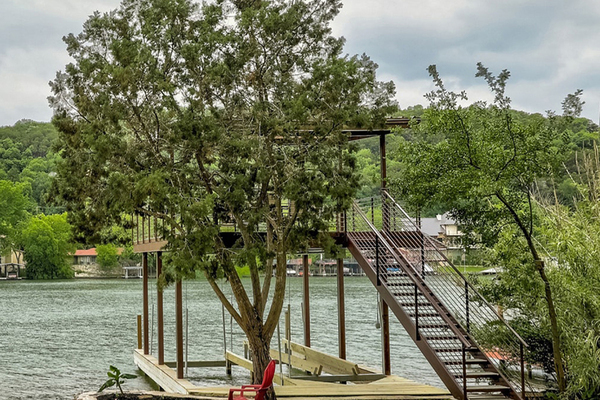 Purchase both properties to own 1 full acre with 200 ft of waterfront on Lake Austin! 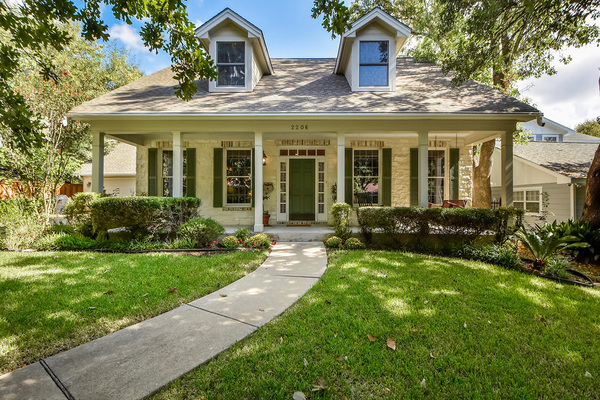 3 Bedrooms | 2 Bathrooms | Large Living | Austin ISD | Available now! Great family home on large lot with open floor plan. Master suite french doors open to spacious back yard. Walk to Burnet Road shops, restaurants and bars. Less than 10 min to Downtown & UT & Medical Center. 10 min N to the Domain. 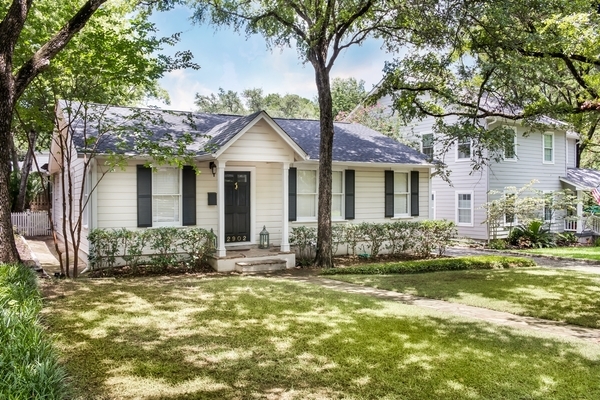 Wonderfully charming 4 bedroom family home in the heart of Tarrytown. As you step inside, the formal living and dining room invite you in. This beautiful home has a great floor plan with the master bedroom downstairs and three additional bedrooms up. There is a large playroom upstairs as well. Downstairs, the warm kitchen opens to the breakfast area and casual living space with fireplace. 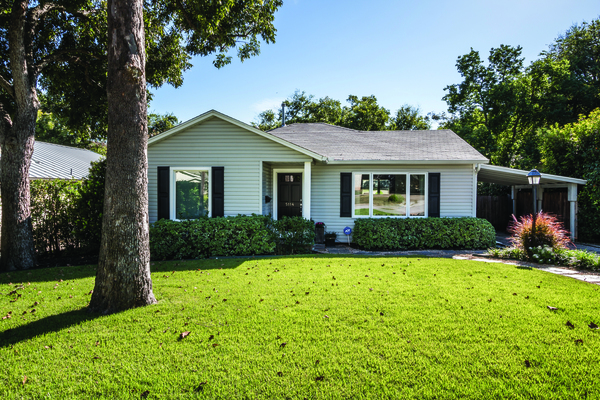 Enjoy the private backyard or sit in the rocking chairs on the cozy front porch and enjoy all that Bonita Street has to offer. Location, location, location! Charming 2 bedroom, 2 bathroom condo in the heart of the prestigious Old Enfield. Walk to Jeffrey’s, Josephine House, Fresh Plus grocery, Cafe Medici, Galaxy Cafe and more! This beautiful condo is on the second floor of an 8 condo complex, with vaulted ceilings, fireplace, wood and seagrass floors. The condo feels like a tree house as it overlooks lush landscape from a nearby neighbor. New gas range and dishwasher have recently been installed. Appliances may stay. 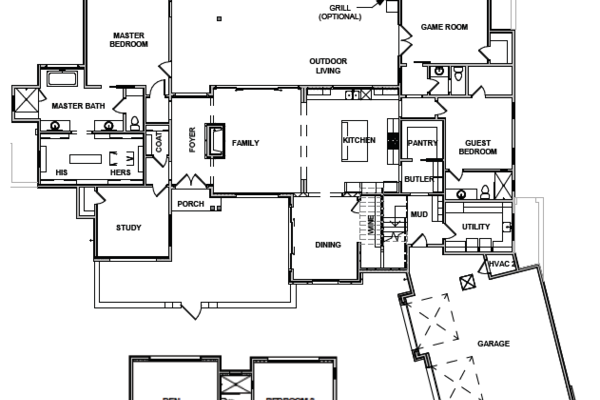 Enjoy the wet bar and large dining room for this floor plan. Come make this charming condo your next home! Downtown views, lots of natural light, and a large .836ac lot are a few of the elements that set this home apart from the others. 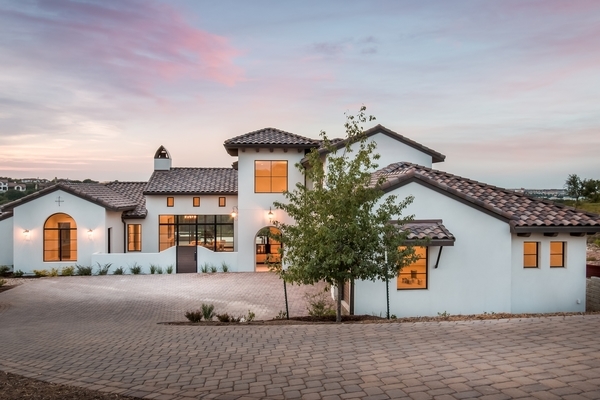 The Spanish architecture is warm and inviting with gorgeous saltillo tile floors, a tile roof, generous archways, and great spaces for entertaining. 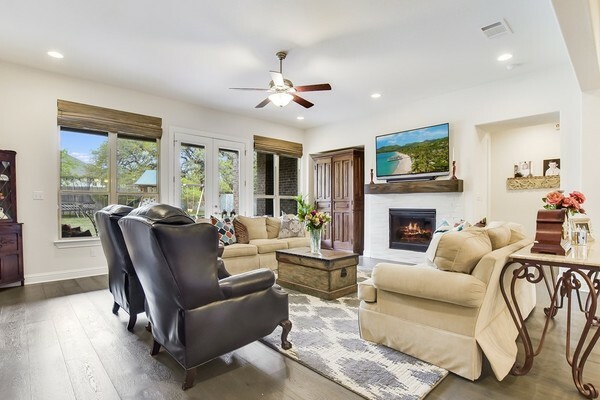 Open all of the doors on the main level and enjoy a peaceful breeze and downtown views from the front of the home on those gorgeous Austin days. The master bedroom is on the main level with his and hers bathrooms, as well as an office or flex space. The second level has two additional bedrooms with ensuite bathrooms. The backyard is terraced and peaceful, while the front of the home includes a pool and gorgeous landscaping. 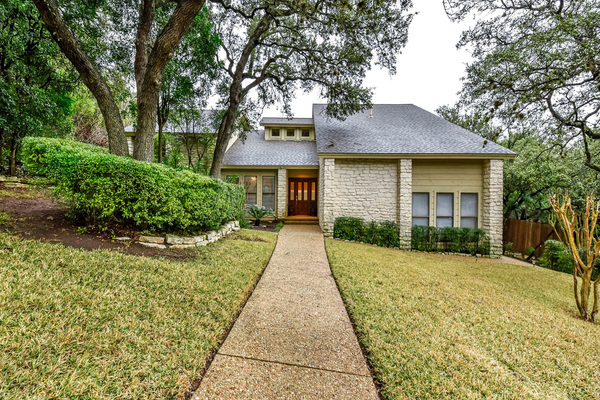 This stunning residence sits on a quiet cul de sac off of Mount Bonnell and feeds into Casis Elementary. This Northwest Hills home feels like a private retreat on a lush .36ac lot with pool and outdoor patio. The 3 bed/2.5 bath home is warm and elegant and has great entertaining spaces. 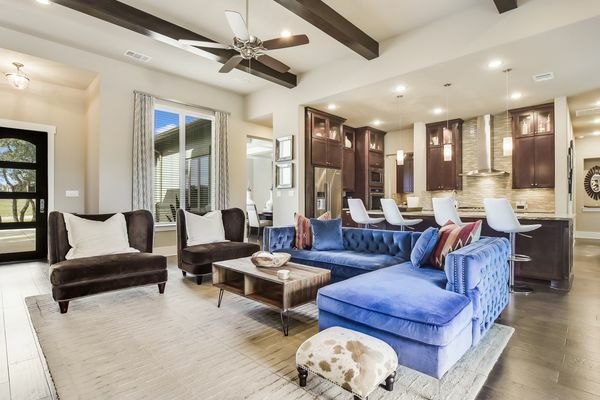 The living room has vaulted cielings with wood beams, a custom stone fireplace & generous wet bar, with a separate dining room off to the side. The kitchen overlooks the patio and pool & has been updated with quartz counters, SS appliances, & double convection oven. 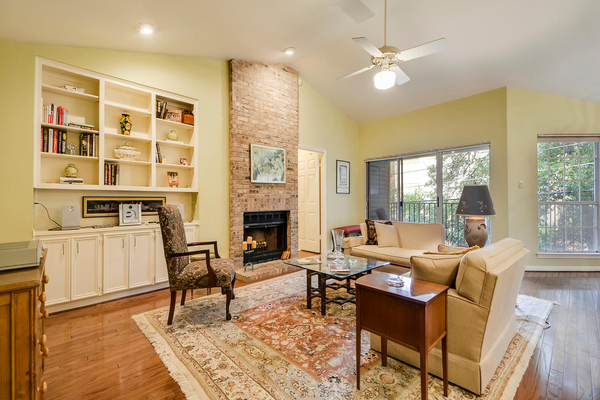 All bedrooms are upstairs, with the master retreat complete with generous walk in closet, large balcony that overlooks the backyard and updated master bath that overlooks the trees. Storage abounds in this wonderful home with a large attic & 2 car garage. Centrally located in a strong school district, this home is a jewel box! 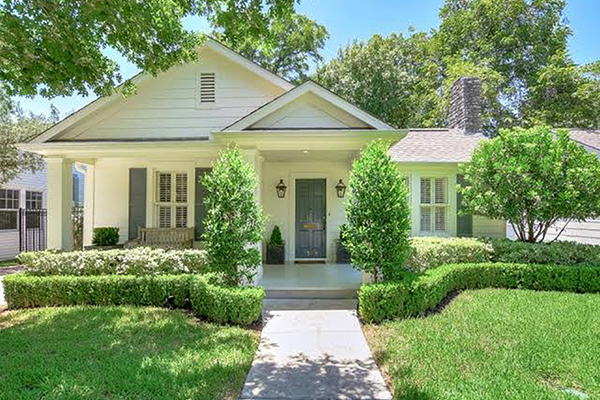 The charming cottage sits on a beautiful tree lined street in the heart of Tarrytown. This wonderful home has 3 bedrooms, 2 gorgeously updated full baths, and a formal living, dining, kitchen and den. There is a detached 2 car garage w/ fenced yard. 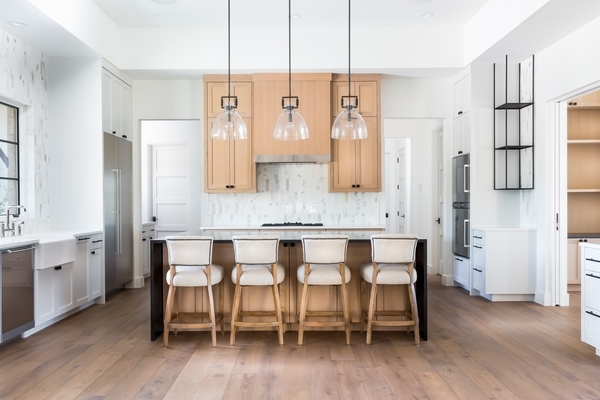 Original hardwood floors and modern classic styles like Cararra marble give this home a warm and inviting feel. The lush backyard with deck and white picket fence couldn't be more charming! 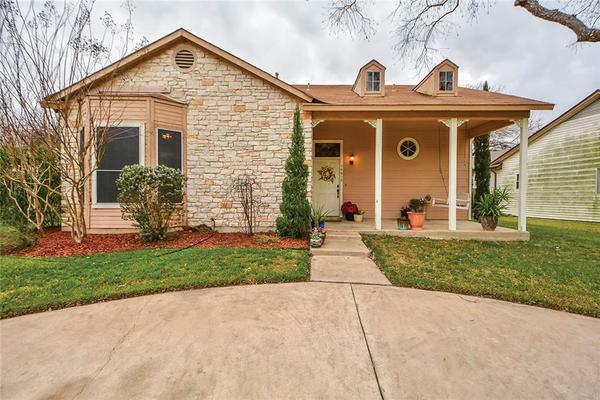 This is the perfect way to move into this central Austin neighborhood. Gorgeous updated 3 bedroom / 2 bathroom home with great floorplan. Wonderful spaces and natural light with hardwood floors throughout. 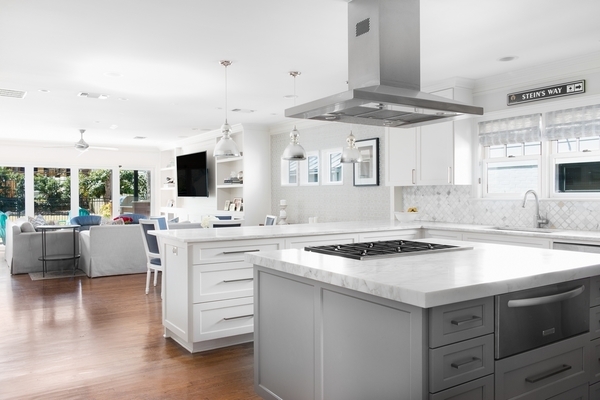 Kitchen and dining open up to casual living space. Master bedroom has his and hers closets, with updated bathroom and double vanity. Great backyard space with deck. 1 car garage is a great place for storage. Home also includes automatic sprinklers with drip irrigation. Enjoy walking over to Russell’s Bakery on Hancock in this great neighborhood. 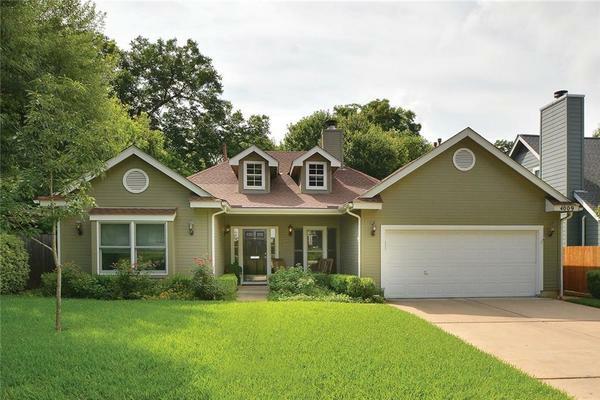 Simply put, this home is an idyllic family lake house on the main frontage of Lake Austin just west of the 360 Bridge. 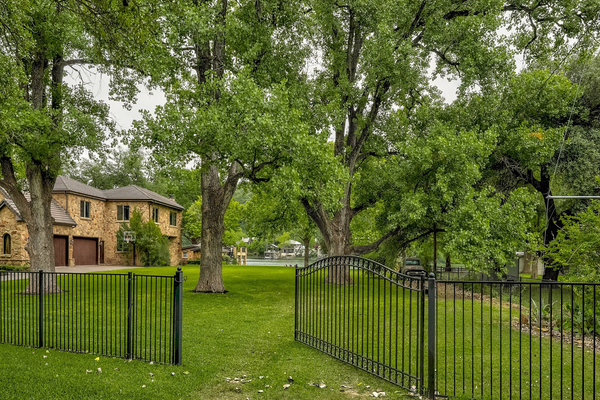 Sitting on just over half an acre, the home is nestled among the trees on a quiet cul de sac. 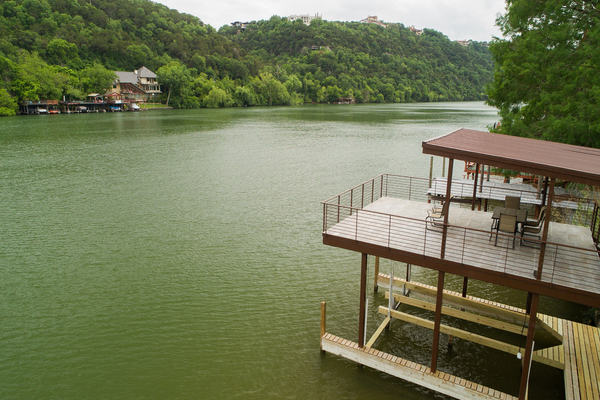 The boat dock sits peacefully on the canal, while the rest of the home has a view of the main body of Lake Austin. Head across the lake on a short boat ride to Ski Shores or enjoy a relaxing evening sitting by the outdoor fireplace. As you step inside, the home has a wonderful warmth to it, inviting you in. Large floor to cieling glass windows and doors take your eyes immediately to the lake. The spacious home has wonderful entertaining spaces for those fun filled family holidays and get togethers. The master bedroom with updated bath opens to the lake. There is an additional bedroom with en suite bathroom downstairs. Four additional bedrooms are upstairs, one of which has a large bunk room attached to it. The upstairs loft is a great play area for kids and also includes a full kitchenette. 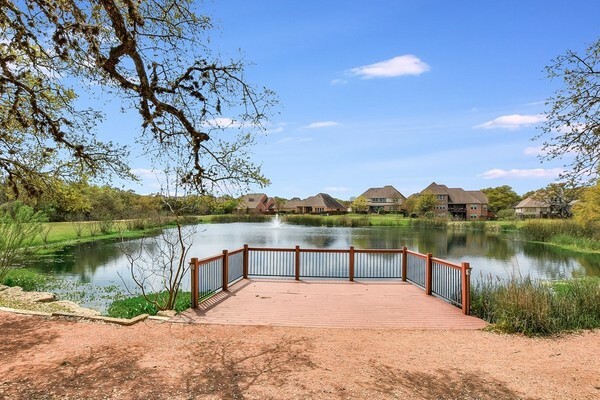 This is a perfect lake retreat for a large family or primary residence that feeds into Eanes ISD. 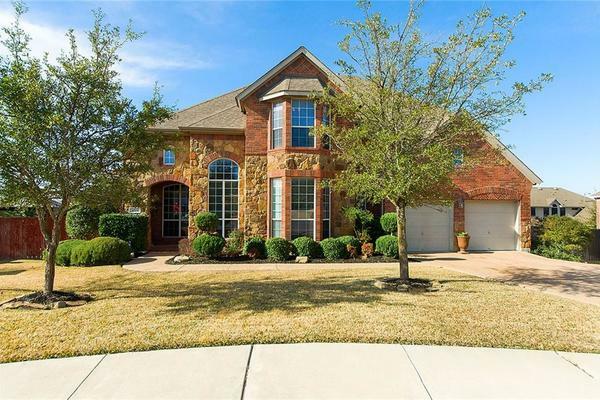 Warm and elegant, this gorgeous 5 bedroom home sits on a quiet street in Steiner Ranch off of Quinlan Park. The beautiful home has an inviting floorplan with an updated chef's kitchen that opens to the breakfast area and expansive living room with fireplace. The formal dining and additional living room welcome visitors into the home. The master bedroom is down along with another guest bedroom and ensuite bathroom. Three more bedrooms are upstairs with a media or workout room and additional office space. This spacious home is also an entertainers dream with heated pool and spa and outdoor kitchen that sits among the beautifully landscaped backyard. 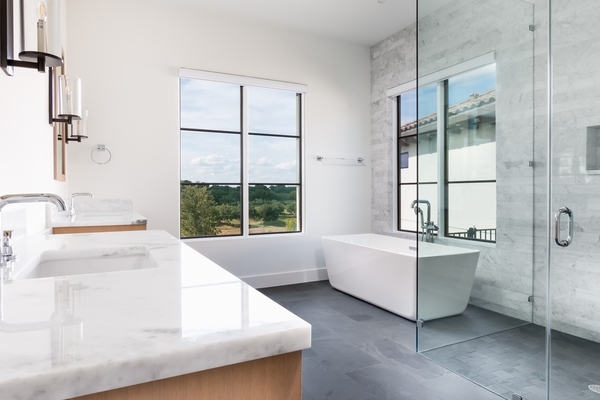 Additional high end features include Lutron lighting, Savant home automation system, coffee bar in the kitchen, walk in laundry room, hardwood Pecan floors, and Carrera marble countertops in the kitchen and bathrooms. 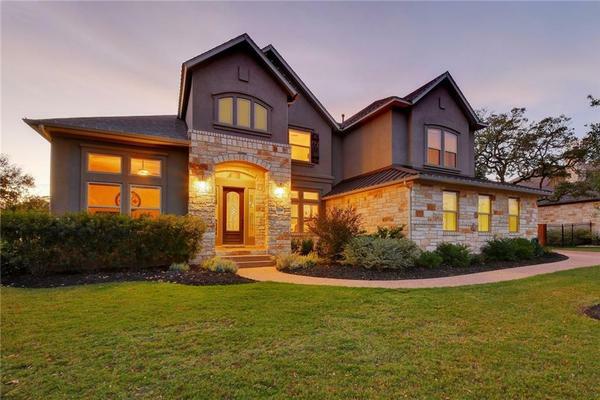 Sitting on almost a third of an acre in the heart of Barton Hills, this recent three story home was custom built to showcase classic styling and design. 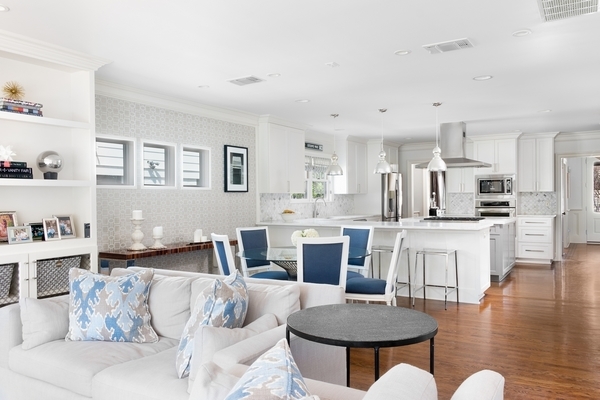 The four bedroom residence exudes warmth and entertainment. 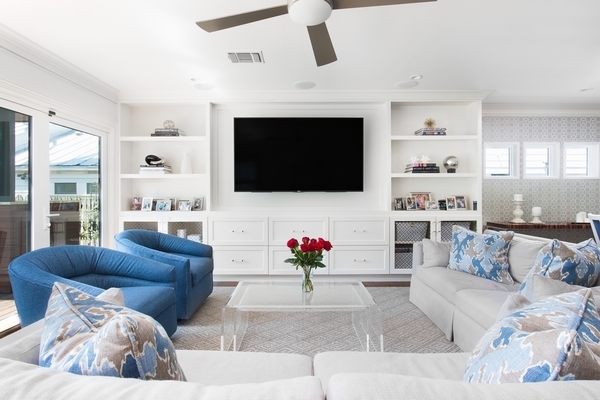 A tech lovers dream, this home includes every upgrade imaginable for home theater, home automation, and security. Save energy and manually control features such as lights, whole home audio, sprinkler system, and pool waterfall via your smartphone. 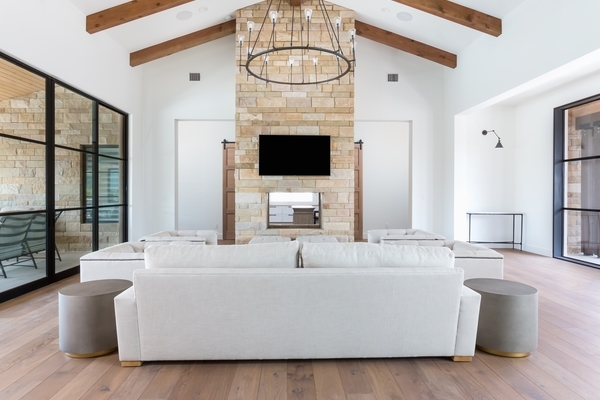 This home was thoughtfully designed to also include vaulted ceilings, three fireplaces, a media room, gym, office, and multiple living areas. 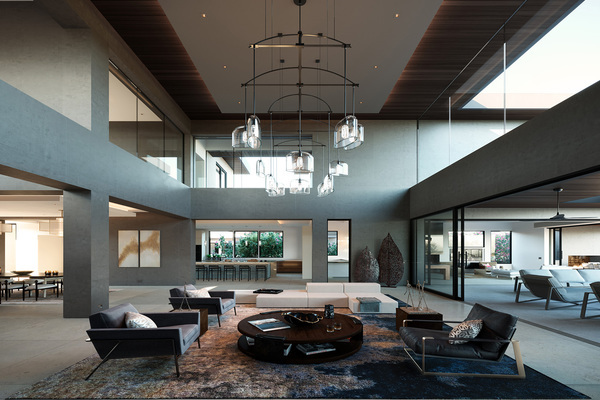 The first floor welcomes casual but elegant living spaces including a fabulous chef's kitchen that opens to family living and dining, an office, and a guest bedroom with en suite bathroom. The second floor includes the master bedroom suite, two additional bedrooms, and gym with rock climbing wall. Venture to the third floor and enjoy the media room, indoor/outdoor bar, and hot tub which overlooks breathtaking views of downtown Austin. This wonderful family home also includes first floor outdoor living spaces with outdoor kitchen, pool and playscape, as well as a three car garage with electric car charging station. "I can't explain the gift we were given when Jennifer called and said "I think this is the one", referring of course to the house we would put an offer on the next day before ever coming on the market. Realtors like Jennifer and Laura get to know their clients and what their vision for a home is and then they find it. 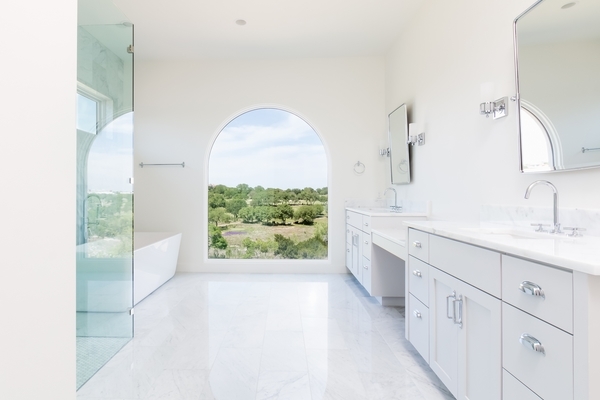 Our vision was a retreat on some acreage with a guesthouse near downtown Austin. Jennifer kind of kidded us about that criteria when the search began because that's pretty specific and unique. 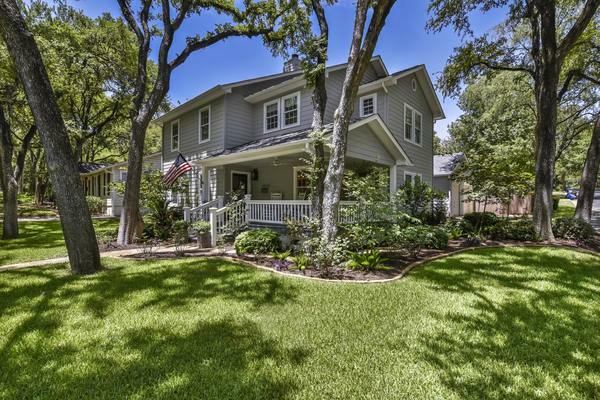 And sure enough we now live in our dream house on 3 acres with a guest house 2 miles from Zilker with everything else and more than we ever imagined for a home for our family. We're forever indebted! As first time home buyers in Austin's competitive market, we knew having a top-notch agent would be important. Jen's market knowledge and professionalism exceeded our expectations and ultimately found us our dream home. Simply put, we couldn't have picked a better agent. Jen has without a doubt been an amazing realtor in searching and finding the perfect fit for our family home! She went above and beyond in accurately assessing the market and making us feel comfortable throughout the whole buying process. Jen made the whole experience enjoyable and fun for both my husband and I. Can't thank you enough Jen for all your help and hard work. We are so so so happy with the outcome of our purchase!!! !